"ART OF IDENTIFICATION" NOW AN ACCREDITED COURSE"
2014 has been another busy year for Datatag and the team and amongst the success stories of CESAR and the Master Scheme there have also been developments with the accredited police training courses. Datatags own Police Liaison & Training Officer Nick Mayell teaches these courses to the police students who want to take the initiative to develop their key policing skills and enrol on these internationally recognised and accredited courses to help when tackling vehicle crime. This year has seen the introduction of a new accredited police course, Methods of Vehicle Identification Number (VIN) Recovery. 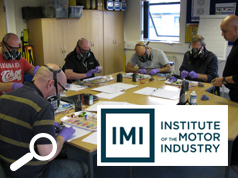 The course which is IMI (Institute of motor industry) accredited enables students to learn about the forensic recovery of vehicle identification numbers when a vehicle has been stolen and subsequently had the VIN numbers tampered with. The new course was developed over the winter 0f 2013 between Datatag and AITS. The course was presented to AVCIS (ACPO Vehicle Crime Intelligence Service) at the College of Policing at Ryton in early January this year before going live with the course in April. 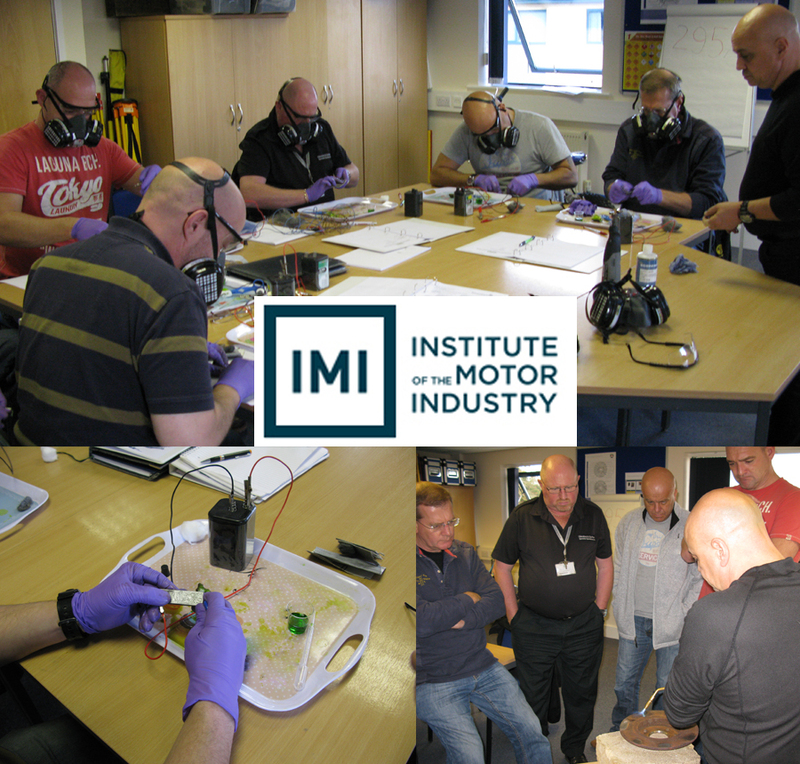 The first of the new one day courses was hosted in May at AITS training facilities at Lakeside Business Park in South Cerney, Gloucester with officers attending from Lancashire, Thames Valley, Police Scotland, Lincolnshire, Surrey and the National Farmers Union (NFU). This week saw the third of the courses take place on Thursday 27 November. With officers from Devon and Cornwall, Durham, Norfolk, an insurance assessor from NFU Mutual and an AVCIS investigator also attending. The new course has had a welcomed response from officers across the country who felt it is necessary to be educated on how to establish a machines true identity when criminals grind numbers over the VIN numbers in order not to be caught. Police officers are now not only recognising that this type of training is not only vital when recovering machinery but also when testifying against criminals in court. Officers recognise in order to secure convictions this can only be done when an officer is fully trained and fully qualified to stand up in court and give beyond reasonable doubt the necessary evidence. As part of the training course Datatag’s training officer Nick Mayell shows examples of the extent these audacious criminals will go to in order to not get caught by showing the chemicals that are used and the impact and dangers that the criminals face. He also teaches officers how to be equipped with the right tools as well as the knowledge of what chemical solutions should be used when faced with suspicious vehicles that have had VIN numbers tampered with. Nick also covers the health and safety aspect which is vital when dealing with chemicals and burnt out machinery. As part of the forensic specific course, is the practical side when officers demonstrate the techniques they are taught in the morning session. Officers are then required to make forensic casting of a fake VIN number to preserve as evidence, before chemical or thermal re-etching. Students are then presented with various ground out steels and alloys and proceed to use the appropriate chemicals to re-instate the original. The practical side also includes demonstrations on thermal recovery, by heating up various components which will also reveal the vehicles true identity. One of the students Clive Harris of NFU Mutual had this to say ‘’ this type of course is not only vital to the police officers who carry out investigations on stolen machinery but also I believe is it vital to the insurance industry and to loss adjusters. It enables there staff engineers when dealing with claims to stop paying out for illegitimate stolen machinery which unfortunately otherwise isn’t always detected’’. Nick Mayell of Datatag took the initiative to develop the course as he was aware police knowledge can erode over time and with new officers changing positions within departments therefore he believes it is vital for reintroducing new skill sets in a cost effective way. Nick had this to say “With the relevant training it keeps police knowledge ahead of the criminals”.